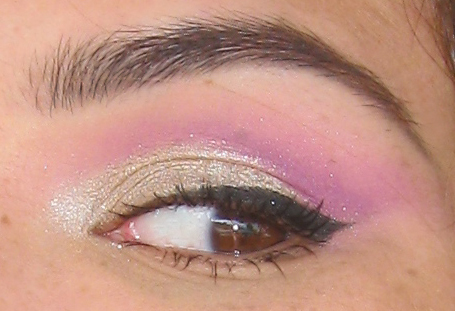 Today's quick post is my makeup of the day from back in the day (last month or so) using Maui Wowie--one of my favorite Urban Decay eye shadows. Check it! URBAN DECAY MAKES MY DAY!!! Maui Wowie comes from the Ammo palette and according to the Urban Decay website, is described as a Medium Gold with Silver glitters. To me, this color is very similar to the color of aluminum foil and shimmers just the same. I really like the heavy metal quality of this eyeshadow and could see myself using it in a variety of ways. Here, I'm wearing it as a subtle daytime look; in a wash of cool pink. I kept the color on the lid and the inner corner, so it is mostly seen when I blink or look down. What's your favorite Urban Decay eyeshadow? Love the colors hun! Hmm..I don't really have a favorite UD eyeshadow yet. Lol. so fresh and pretty! I *used to* love UD... I think my fave was Fishnet! Masha... wow you'r slowly but surely becoming a makeup queen.. hehe Just happened to pass through and figured to say hi and say your doing a great job with your site. Gorgeous look..I love it..Love the colours combination that you used..^_^..
You look so pretty! :) I really want Maui Wowie! I love Maui Wowie (perhaps because I'm from Hawaii, haha)! Girl, this look is sooo freakin pretty on you! this has to be one of my favourites i love it! i love the eye shadow..you are so pretty! My favorite Urban Decay is any shadow from the Black Palette that they released. Black Dog is the perfect matte black, and Jet is an awesome smokey purple... but I love all of them! This is a very cute, summery look. my favorite UD eyeshadow is anything in the NAKED palette. 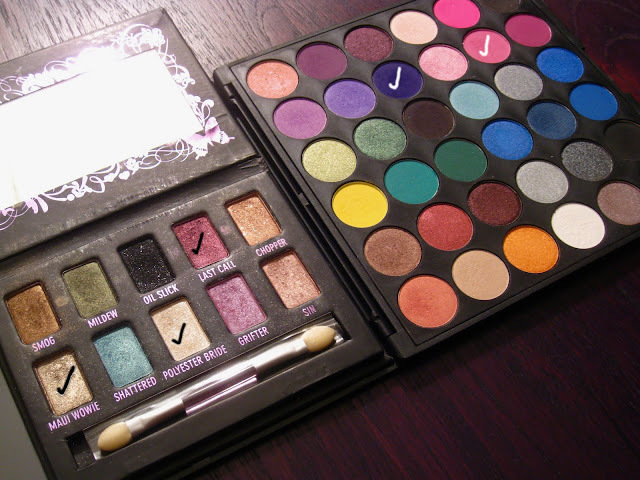 I live and die by that palette! Gorgeous summer look here, doll! You look beautiful! So beautiful, you are very talented. You have a wonderful blog, I will difintily be checking back to read more of your posts. Good luck with the blog, although I am sure you do not need it! I LOVE your freckles!!! They are adorable! Mauwi Wowie is now in my shopping list! my fav urban decay shadow is smog! gives any bronzed look the perfect touch! Such a pretty look. Beautiful! Thanks for visiting my BLOG! Have you checked out the Makeupbee Makeup community? @ www.themakeupbee.com. All the ladies that commented on my Blog are on it and we discovered each others BLOGs there.